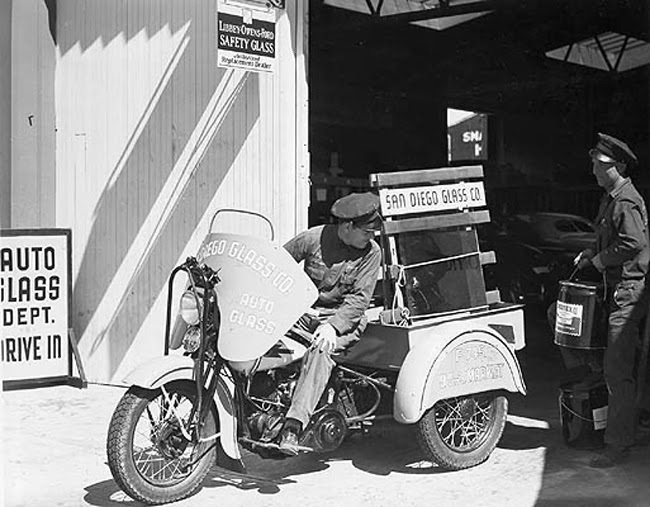 The Servi-Car was designed to be operated by someone without any previous experience on a motorcycle, hence it's three wheel configuration. 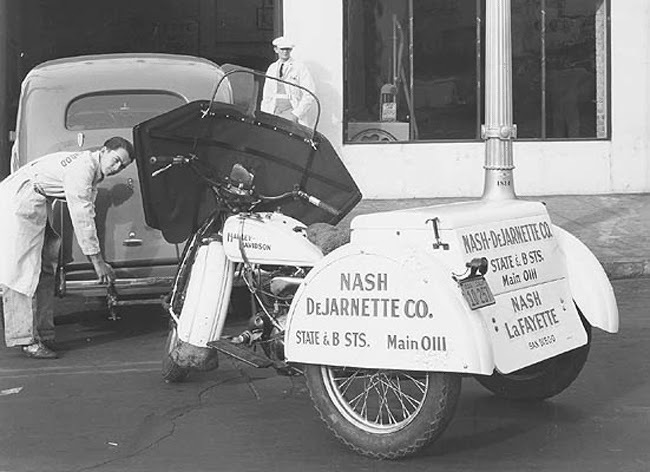 This also made it towable without the need for a trailer. 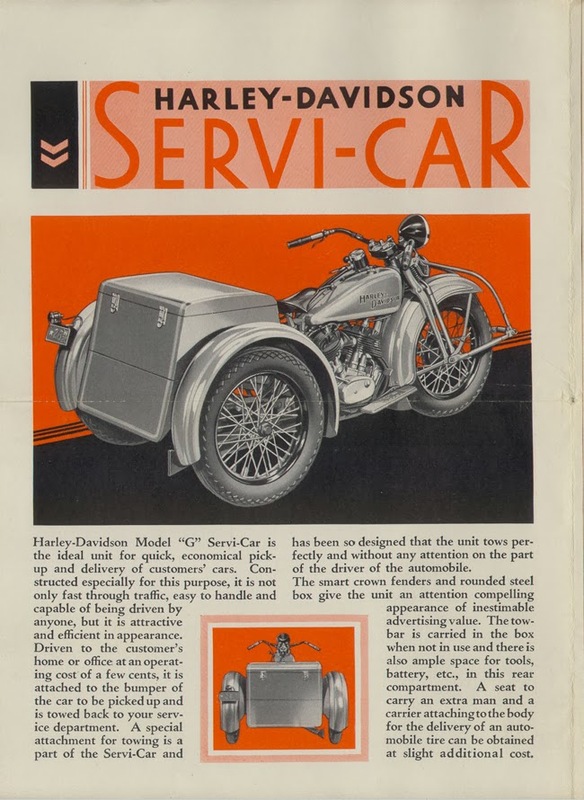 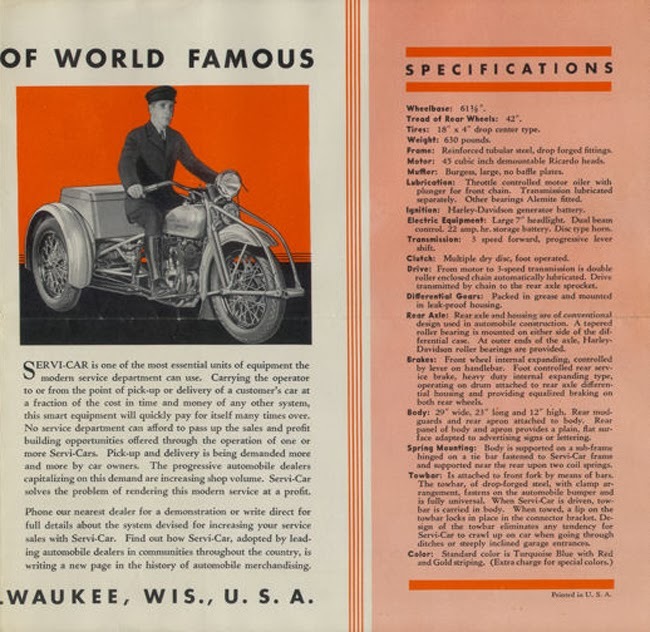 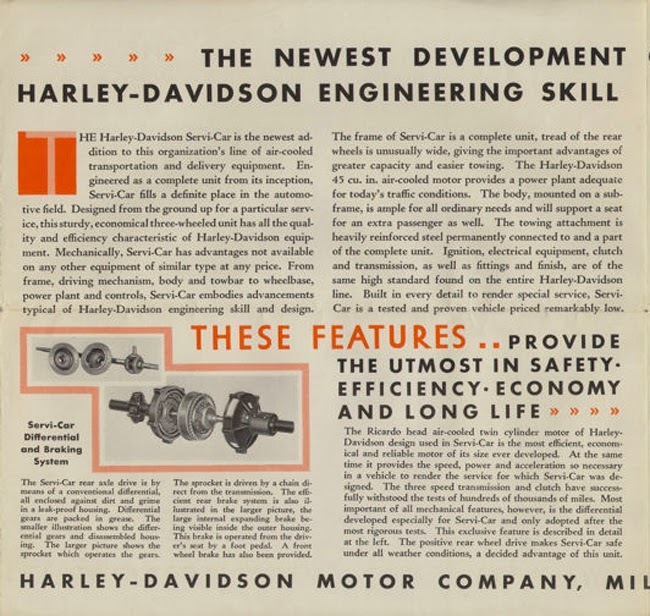 Harley capitalized on this design advantage by including a front tow bar which could be attached to the rear bumper of an automobile without the need of a hitch. 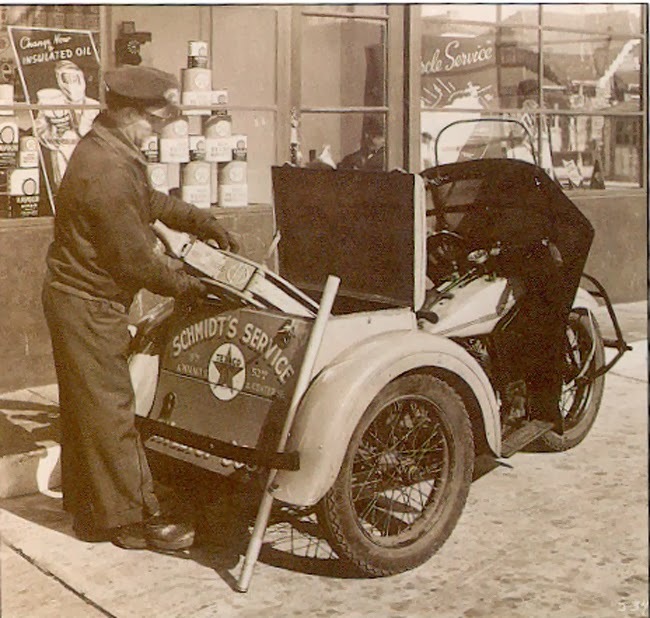 This option made Servi-Cars highly popular with service stations who used them as delivery vehicles. 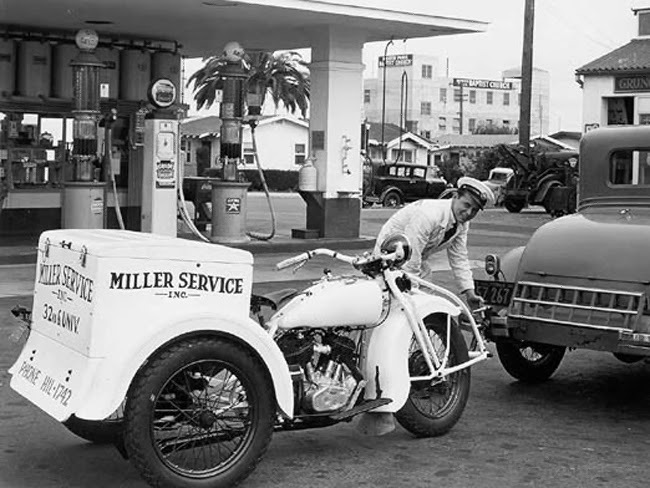 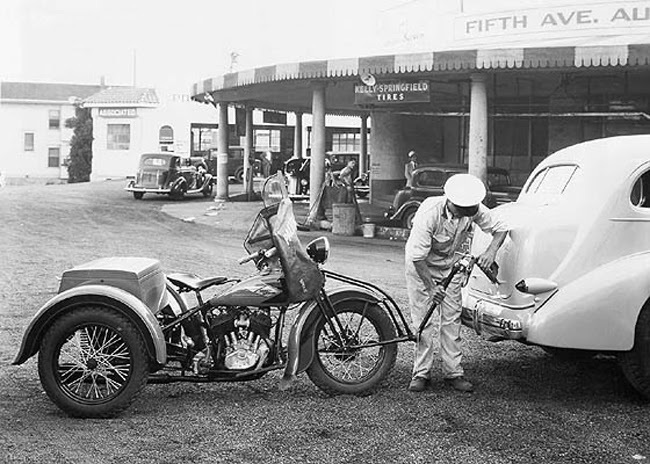 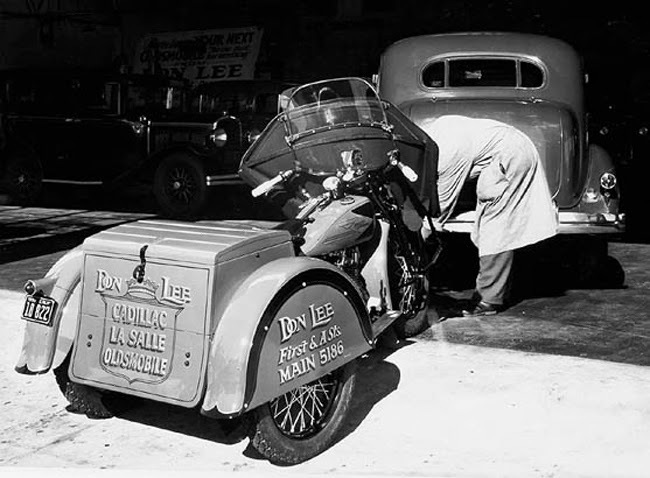 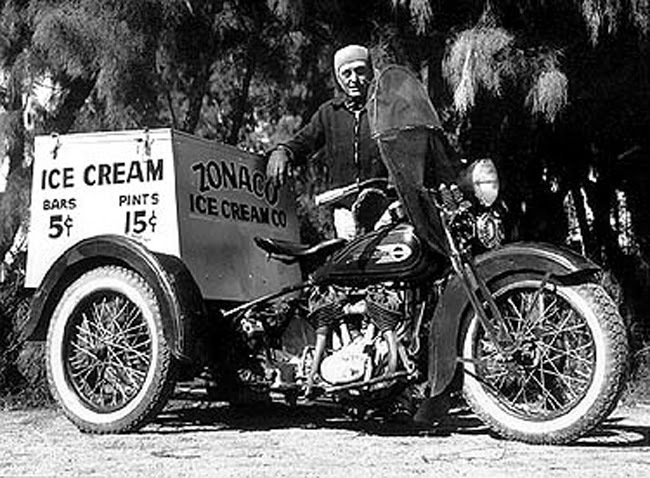 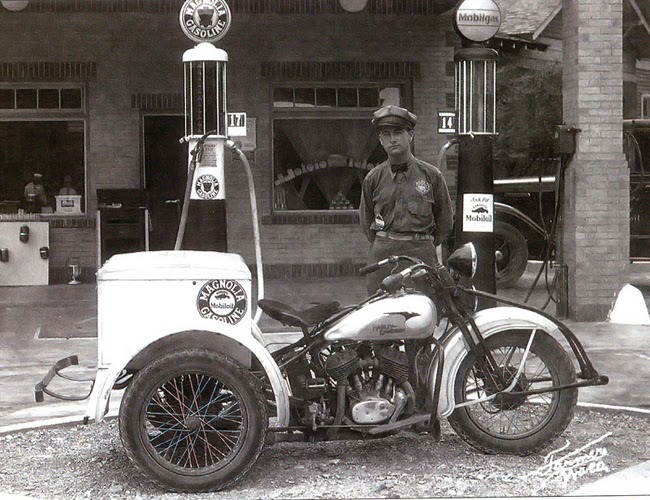 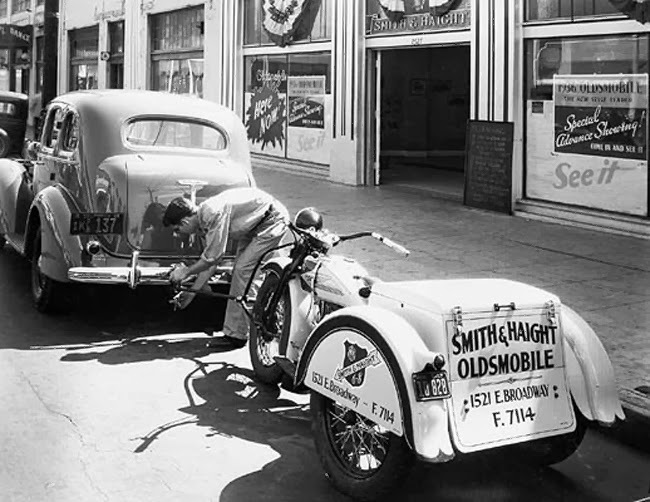 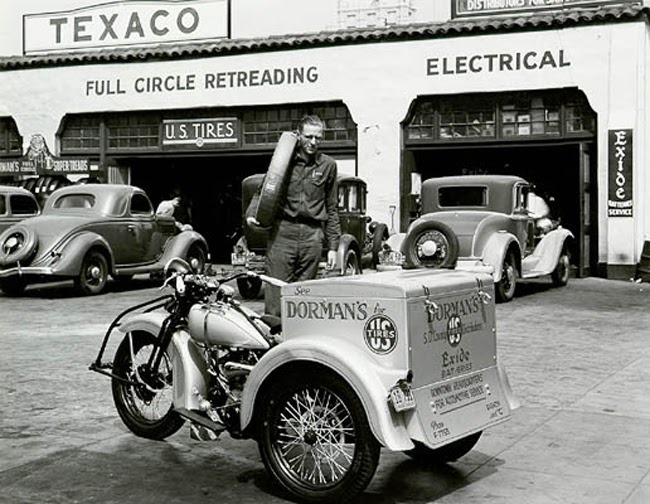 Back in the 1930's when you had your automobile serviced, the service station would deliver it to your home or work when it was completed. 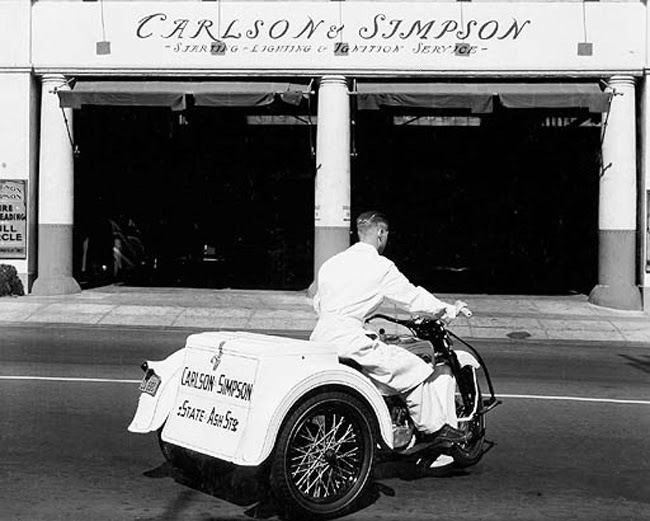 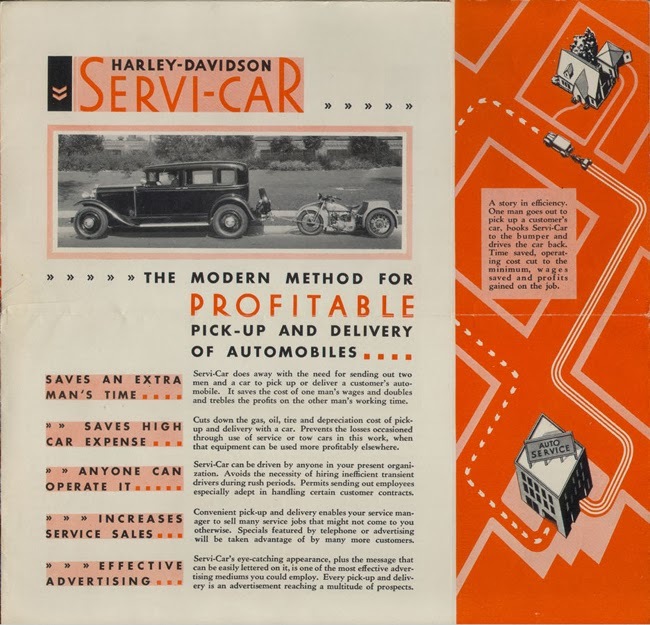 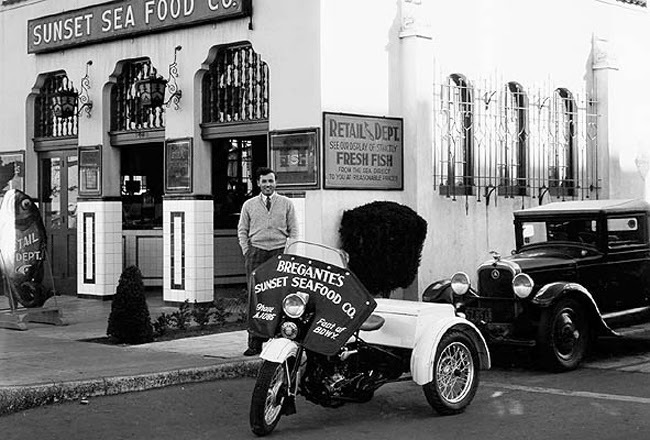 Having a Servi-Car in-tow allowed these deliveries to be made with just one driver who would simply unhook the Servi-Car and ride it back to the station once the customer's automobile had been delivered. 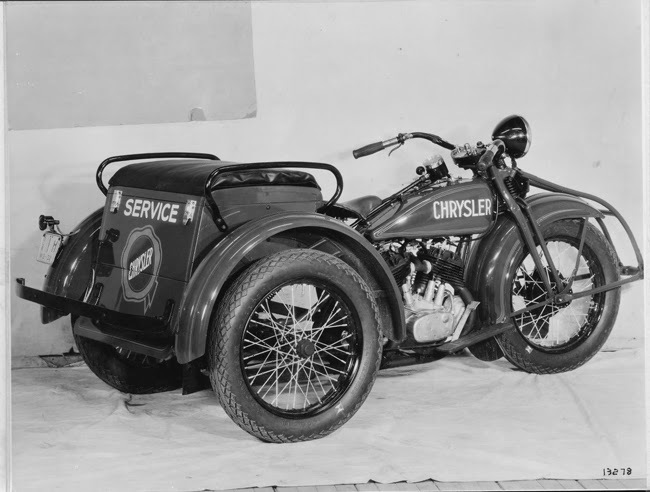 The large rear trunk also made them well suited for transporting a variety of items and doubled as a large "billboard" for a advertising. 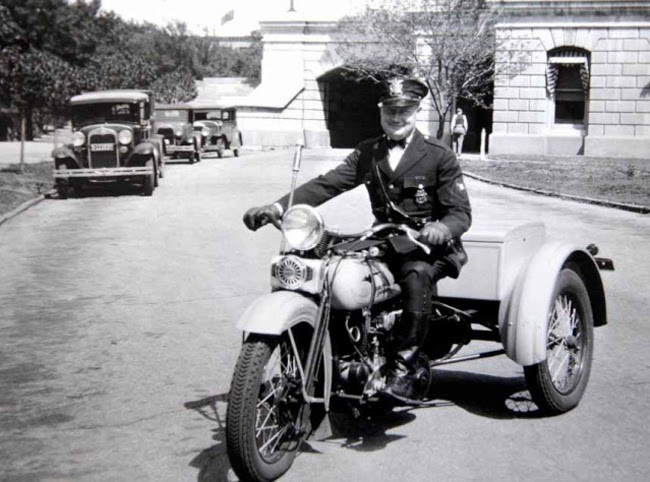 Of course we can't forget to mention the police departments who purchased the Servi-Cars for use by traffic police and parking patrol officers. 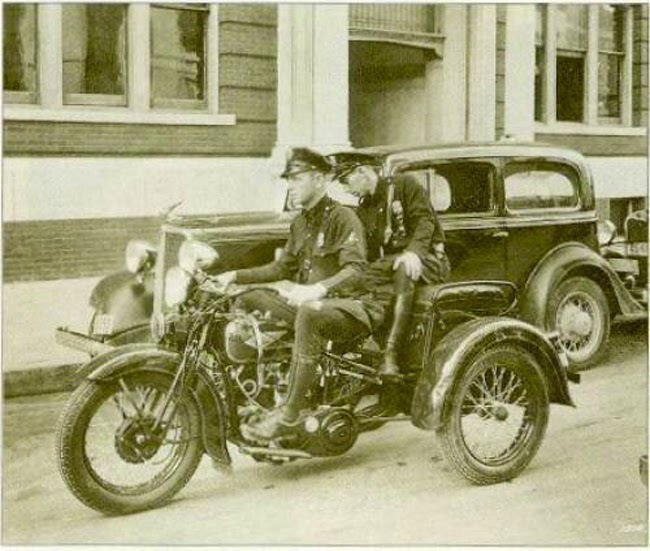 Eventually, Harley began fitting the Servi-Cars with left hand throttles so the officers could hold the tire chalk stick in the right hand as the rode down the street. 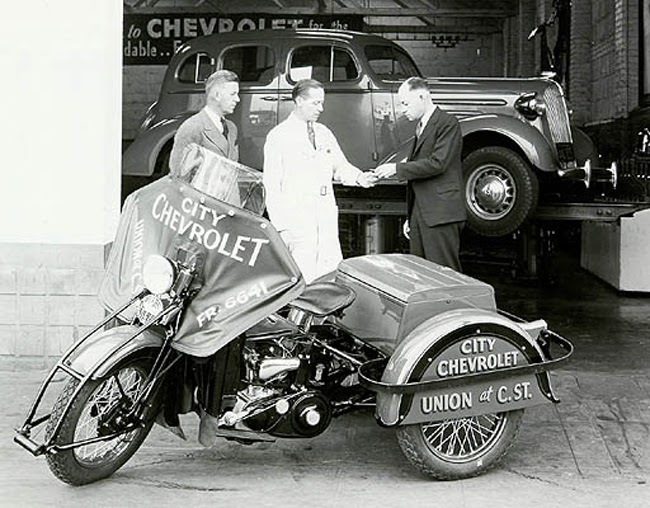 Until that change, they had to ride two-up. 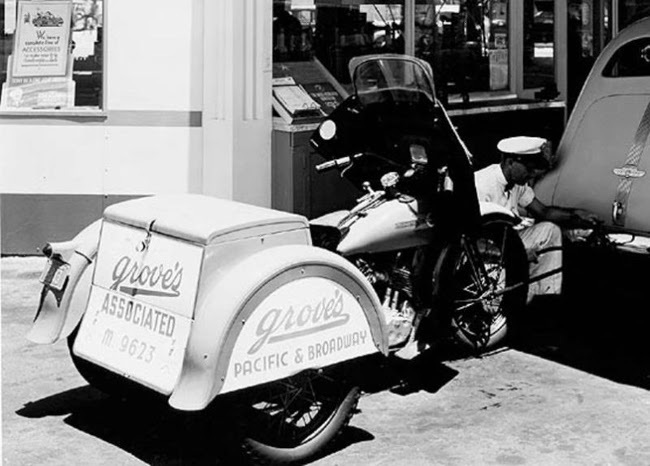 Despite the future success of the Servi-Car, the early years saw very low production. 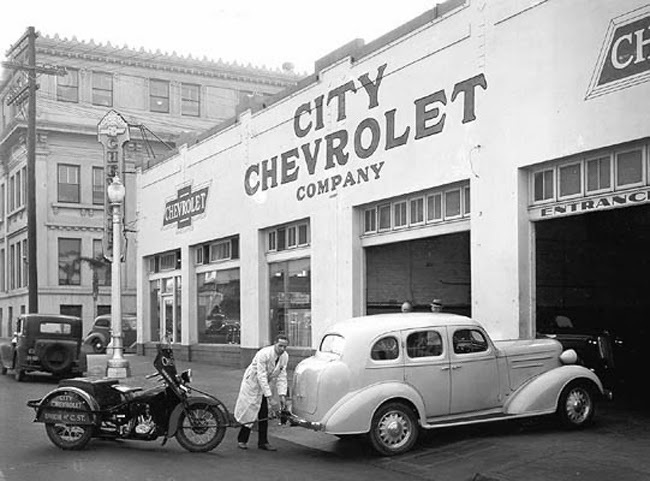 The world was still going through the Great Depression and production numbers never got much higher than 500 units per year, with 1933 seeing the lowest production of less than 200 units. 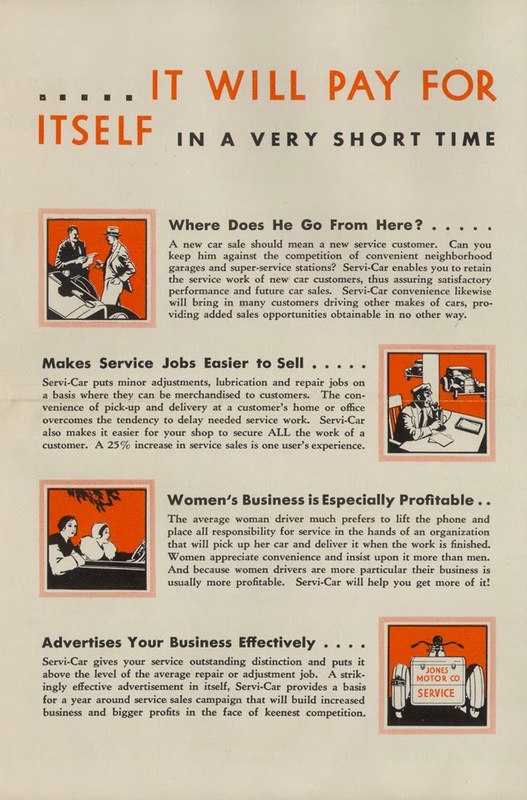 Still the Servi-Car continued on and with the introduction of the W-series engine in 1937, it was poised for success.